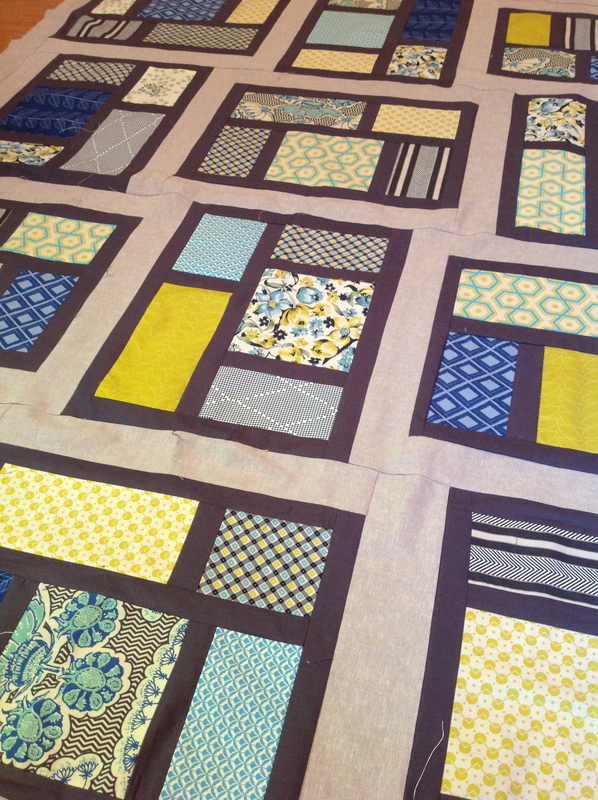 When life got hectic back in July, I stopped posting on WIP Wednesday at Freshly Pieced. I just didn’t have the time to plan posts and check out all the other blogs. I was so excited to share my work in progress today– and then realized it’s Thursday. Cue Debbie Downer trombone. 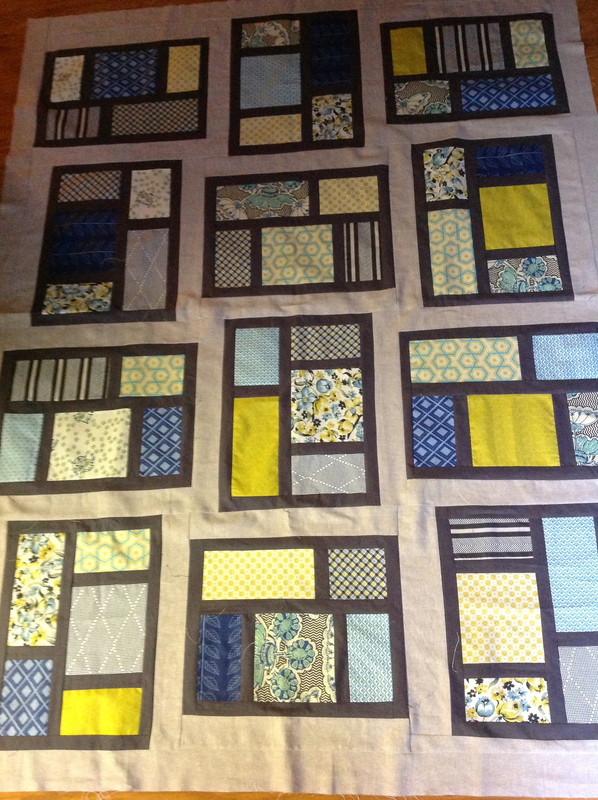 Here’s the finished top of my Kitchen Window quilt. The sashing is Essex Yarn Dye linen in natural. The prints are a little Anna Maria, a little Denyse Schmidt and some other favorites in the yellow/teal/blue palette. I took the pictures with the iPad at 6AM, and it shows. But finished quilts always get a proper photo shoot now. Here’s to kids back in school and a little more time for friends in real life and online. Hi Melanie …..beautiful quilt and two of my favourite designers. Thanks for stopping by. Have a great day! Oh my God! First of all, I LOVE a little linen in a quilt and this is inspiring to do something with linen myself. Secondly, THIS IS AN AMAZING QUILT! I love it so much. Can’t wait to see it in person. Thanks!! I’m in love with linen right now too! So pretty – the fabrics are really show well and almost looks like stained glass!